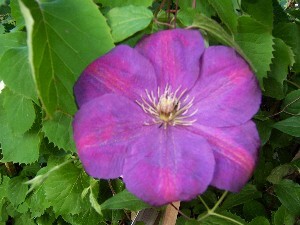 Large Soft Purple Flowers. This one can bloom on old and new wood. So when pruning leave some older vines for the larger early flowers.Very reliable and free flowering. 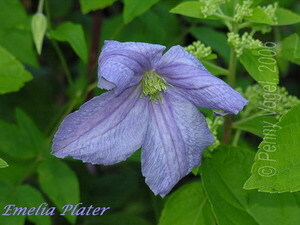 A great easy to grow clematis breed by Brother Stefan Franczak in 1984 and Raymond Evison then introduced it in 1990. 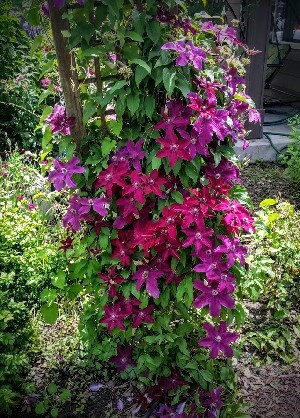 Deep Purple flowers with purple-red bars cover this clematis in short order. RHS awarded. This one get huge and covered in flowers.